Akbar is the first political public figure to feature in the growing list of men — so far largely from the media, film and entertainment — named in India’s own #MeToo movement that is gathering momentum since it broke on social media last week. 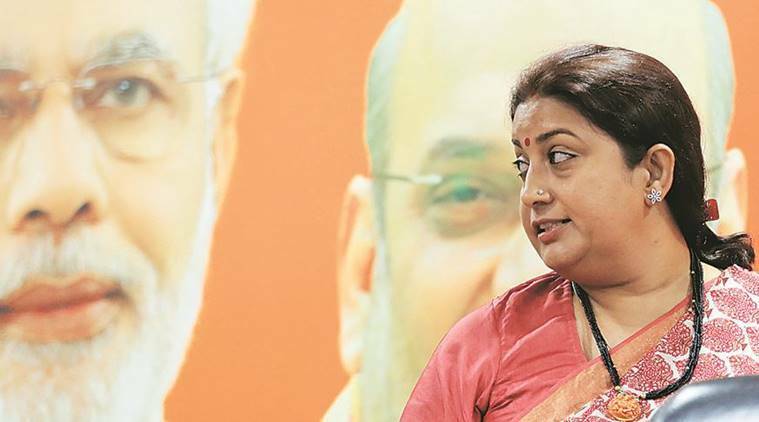 With the #MeToo movement gaining momentum across the country, Union Minister Smriti Irani on Thursday said her colleague M J Akbar is in a better position to speak over the allegations of sexual harassment against him. Irani said this when she was asked to comment on the matter. “It is for the gentleman in question to issue a statement. It would not be proper for me to comment because I wasn’t present. But at the same time do not judge the women speaking out because it must be extremely difficult for them to do so,” the minister said. Irani’s reaction comes after seven women have come on record to accuse Minister of State for External Affairs Akbar of sexual harassment and inappropriate behaviour when he worked as a newspaper editor. He is the first political public figure to feature in the growing list of men — so far largely from the media, film and entertainment — named in India’s own #MeToo movement that is gathering momentum since it broke on social media last week. In a detailed account on The Wire, the seventh journalist Ghazala Wabab described several instances where Akbar allegedly molested her by grabbing her and rubbing his body against her thus forcefully trying to kiss her. There has been no reaction from Akbar, who is currently on a visit to Nigeria with a trade delegation, or the Government so far. The Opposition ramped up pressure raising questions on the Government’s commitment to women’s rights. Retaliating to Opposition’s demand on Akbar’s resignation, Union Minister of State for Social Justice and Empowerment Ramdas Athavale urged people to hear M J Akbar’s side. “I think we need to hear his statement too. He is out of India. There should be an investigation, if he is found guilty then he should resign,” said Athavale.